Sky TV abroad in Portugal, premium 1080 HD viewing for Sky Sports, including English Premier league and Spanish La Liga coverage and the latest Movies through Sky Cinema. A Sky UK viewing card , Sky + HD DRX890 with 500gb hard drive and subscription service in Portugal would allow you to subscribe to a variety of channels of your choice. Premium English Sky TV for Europe is available anywhere in Portugal with our range of services. There are hundreds of channels with many in HD to choose from. Coming soon to Portugal Sky Q. Europe’s best 4K UHD Sky TV Europe subscription service. As Europe’s leading provider of Sky Cards and premium Sky subscription packages to customers all across Europe, we are delighted to offer sky cards and satellite receiving equipment throughout Portugal. We specialise in providing English TV viewing packages to customers living and working throughout every region of Portugal. Our Sky in Portugal TV subscriptions will give access to the Sky TV channels you miss. Sky Sports, Sky Cinema, a Variety of entertainment channels, ITV and BBC are all available throughout Portugal even as far South as the Algarve. The very best in Expat UK TV subscriptions are available from Lisbon to Albafuera in Portugal. Now TV now allows customers to have a British TV package in Portugal through the internet also. Through our exclusive Portugal VPN service you can have access to BBC, ITV, Now TV , BBC iPlayer and ITV player in Portugal. So whether it’s Sky TV through a satellite or Now TV through the Internet in Portugal, UKTV is available to British Expats throughout Portugal. Sky + HD TV brings the the very best in English Telly from the UK’s best satellite TV broadcaster. So if you would like English Premier league football , Box Sets or Movies choose Skycards.eu in Portugal. 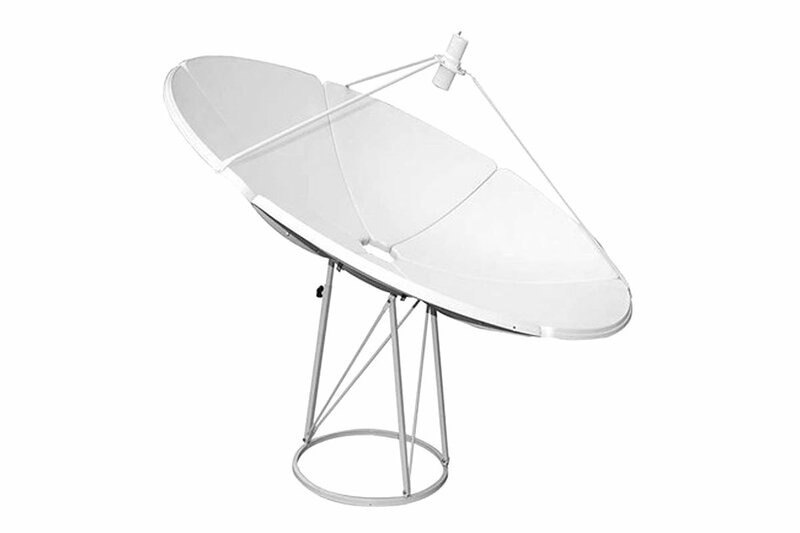 To receive Sky TV and the best English language TV signals in Portugal, you will need at least a 180cm (1.8m) dish for a reasonable reception from Astra satellite. The island of Madeira however requires a much larger dish of 300cm (3m) across in diameter, if you want a reliable and stable reception of all Sky TV channels. With intermittent weather conditions, anything smaller can lead to a loss in channels. Depending on where you live in Portugal, the size and type of dish varies to receive a clear Sky TV signal. To be completely certain of the correct size dish required where you live, please contact your local professional satellite dish installation company or you could go for Now TV through the internet. There are options for viewing Sky TV for Europe through the internet when a signal or dish setup is not possible in Portugal. Now TV would allow you to view the Sky and Freesat package of your choice without a contract on a pay as you go basis. Sky Go Abroad subscription will give access to Sky and Freesat channels from only £10 per month on up to 2 mobile devices in Portugal and anywhere else in the World. Contact us today for further information. VPN router service for Portugal. For only £10 per month our VPN router connects to your Sky + HD box giving access to many UK online facilities usually blocked in Portugal. This would allow you the full access to Sky’s On Demand features, BBC iPlayer, ITV HUB, 4 OD, 5 player, over 1000 movies through Sky Cinema, over 250 box sets, Sky Store, booking of box office events and much more available in Portugal. Extra British channels in Portugal. In addition to the usual Sky channels we can now offer the following stand alone extra channels. BT Sports HD , Sky Asia, Espn HD, Zee TV, Premier Sports HD, Box Nation, Sky HD pack, Racing UK all for viewing in Portugal. IPTV for Portugal and Now TV. Many customers in Southern Portugal, Albafuera, Faro and the rest of the Algarve usually go for internet tv options. 1. IPTV freeview box – This has over 50 channels including all of the BBC and ITV channels. The cost is £74.99 and £20 per month. The box can be viewed Here. 2. Now Tv box and VPN router – A Now TV box and VPN router at £19.99 would give you LIVE Sky TV as well as LIVE BBC and ITV streamed through the internet to your TV on a pay as you go basis without a contract. The Now TV box doesn’t require a satellite signal as it is an internet TV box. It also has a massive collection of catch-up and On Demand features. The monthly subscriptions start at £6.99. The VPN router connects to your existing router and allows the Now TV box to work outside of the UK. We supply full instructions and have a support service to help you install the box if you need any help. You can view anywhere in the world with this box and it only requires 2MG download speed to work. The box can be purchased Here. What parts of Portugal can receive Sky TV signals? Getting UK satellite television in Portugal is made simple with SkyCards.eu. All of our packages and equipment are available to order online and are shipped via UPS tracked courier, meaning you get your order quickly and with minimal delay. The very best in Expat TV and UKTV solutions in Portugal though Skycards.eu. If you require our Sky TV services outside of the European broadcast footprint, please call us on +44 (0) 2032 838 000 to discuss your requirements and we will make our best recommendations based on your locations and needs to give English TV in Portugal and beyond.